Not all office space is equal, and for comparison purpose, office spaces are classified into classes or grades, which indicate the quality of the building. The Building Owners and Managers Association (BOMA) classifies office space into three grades: Class A, Class B, and Class C.
The China Office Building Owners and Managers Association (COBOMA) is an affiliate of BOMA. Age, amenities, building finishes, aesthetics and general infrastructure, location/accessibility and market perception are used to determine the office grade. The office class will be used to determine the space’s price and it will also indicate the competitive ability of each building to attract similar types of tenants. 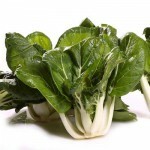 It is also a way to standardize the discussion about office markets. Building amenities: services available inside or nearby the office building for office workers or office tenants, creating convenience for building users. 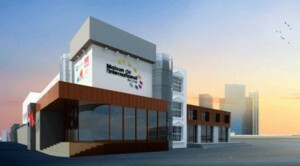 Examples are food facilities, copying services, express mail collection, physical fitness centres or child care centres. Building finishes, aesthetics and general infrastructure: quality of materials used, hardware and finishes, architectural design, restrooms and elevator system performance. Location / accessibility: access to a subway station or bus lines, proximity to a park or shopping centre, accessibility to airport or train stations, parking places. The quality of surrounding buildings will also in some extend influence (favourably or unfavourably) the class of a given office building. BOMA defines Grade A office buildings as the “most prestigious buildings competing for premier office users with rents above average for the area“. Grade A offices have the highest quality space available on the market and they have “high quality standard finishes, state of the art systems, exceptional accessibility and a definite market presence”. These spaces have been recently built, usually aesthetically pleasing and located in high-visibility locations, such as central business district (CBD). High-rises buildings are considered Grade A buildings, they usually have higher ceiling spaces and the central lobby has a premium decoration. Reputable property management companies are usually operating these buildings and maintain them in a good way. Rental fees for Class A office spaces are higher than the city’s average rent. 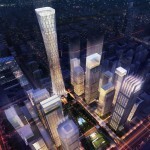 Well-know and large firms as well as banks, real estate and law firms would usually settle in Grade A office buildings. BOMA defines Class B office buildings as spaces suitable “for a wide range of users with rents in the average range for the area”. Class B office spaces standards are above average, offering “adequate systems” and finishing “fair to good for the area”. Architecture and design are not as good as Class A space, but still nice and fully functional. Class B space are usually not high rise buildings and they are located on the outskirts of large financial districts or in suburbs. Class B buildings are little older than Class A ones, with eventually little deterioration or breakdown. A Class A building would usually retrograde to B class after 10 years operations. BOMA defines Grade C office buildings as suitable for “tenants requiring functional space at rents below the average for the area”. These are the poorest quality on the market, their location is not the best and they would require major repairs and renovations. Class C properties are more than 20 years old. Grade C spaces can be upgraded to Class B by significant renovation, but may not achieve Class A status, because of their location and their aged infrastructure. 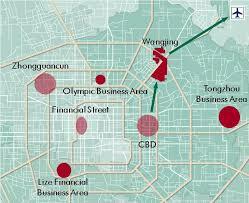 Beijing’s CBD is a hub of Grade A office buildings or a concentrate of high-grades – high-rentals office spaces. In 2014, the average rental per month for grade A office space was: RMB 373 / sqm / month. Industries like finance and insurance, Information Technology and high-tech as well as professional services industries are still looking for Grade A offices while the demand from manufacturing and energy sectors is decreasing. This should be the trend for the coming years, with the plan from the Central Government to turn Beijing in a megacity Jing-Jin-Ji, and related incitations for moving some industries from the city centre, while focusing on added value activities in the capital. The non-occupancy rate of grade A office spaces in Beijing could be around 5-6% in 2015, while the rents could decrease due to scheduled or happening opening of new buildings in the 3 coming years – look at the high-rise buildings under construction in the CBD. If you consider Grade A office spaces, rents compare as follow: Financial Street > CBD > East Second Ring Road > Lufthansa > Zhongguancun. If your company can’t afford a Grade A office space, but you would like to find a space in a good visibility location, SCOUT Real Estate can help you to find opportunities in the market. We just completed a project for the French Chamber of Commerce and Industry in China (CCIFC) and Maison France-Chine: Two floors of the 3 storey building were fully renovated, including outside walls, in this project involving 12 French companies including the CCIFC. 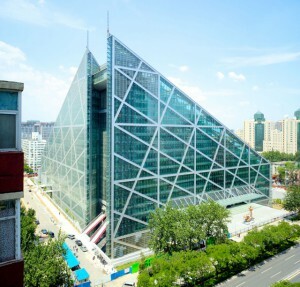 CCIFC was looking for a new office and SRE helped them to find a unique location in Sanlitun; the building configuration allowed the creation of the first French Maison, regrouping for the first time ever many French companies in a same building outside of France! SCOUT didn’t only find the location, but also coordinated the whole project, with design and construction company, as well as management and authorities.